Notes: Dover Castle is a medieval castle in Dover, Kent. It was founded in the 11th century and has been described as the "Key to England" due to its defensive significance throughout history. It is the largest castle in England. 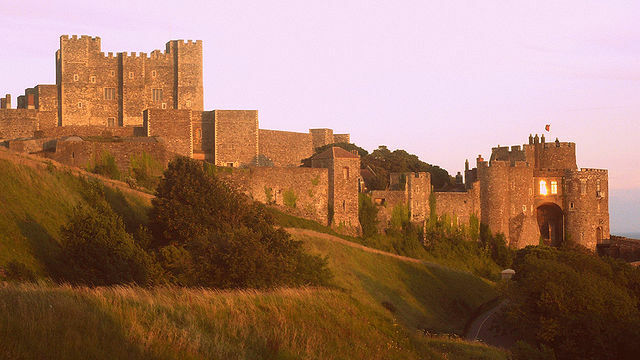 Dover Castle is a Scheduled Monument, which means it is a "nationally important" historic building and archaeological site that has been given protection against unauthorised change. It is also a Grade I listed building, and recognised as an internationally important structure.The castle, secret tunnels, and surrounding land are now owned by English Heritage and the site is a major tourist attraction. The Lord Warden of the Cinque Ports is officially head of the castle, in his conjoint position of Constable of Dover Castle, and the Deputy Constable has his residence in Constable's Gate. The Princess of Wales's Royal Regiment Museum is located in the castle. Between 2007 and 2009, English Heritage spent 2.45 million on recreating the castle's interior. According to figures released by the Association of Leading Visitor Attractions, nearly 350,000 people visited Dover Castle in 2010.